Allah (God) has taught me, in the Person of Master Fard Muhammad, how to eat to live, so that I also may teach you. He desires to extend our lives from a short span, averaging 62 years, to a span of one thousand (1,000) years — or for as long as we desire to live. He said there is no set time for us to die. We kill ourselves daily by means of what we think, what we eat and what we drink. Think about it, and you will agree that we kill ourselves. As I said in an earlier chapter “How to Eat To Live,” there is no way of prolonging life except by being careful: watching and examining what we put into our bodies to sustain life, and the regularity of our eating and drinking habits. We have been taught what to eat and what to drink by a people (the White race) who has never obeyed the law or religion of Allah (God). These rules Allah (God) gave Moses’ people in the Ten Commandments for their good — clear as a mirror: law and guidance, which they should not forget. However, they kept none of this. Everything that Allah said “Thou shalt not do” they have ignored and said “Thou Shalt Do.” Therefore, the Christian race is no example or guide for one who seeks to obey the law of Allah (God) for God now threatens to remove them from the planet earth. If they would stop deceiving the people, making them believe they are what they are not, and trying to change the natural religion of Allah (God) into the unnatural, which is false, their doom probably could be delayed. There is a sect among them whose members call themselves Orthodox Jews (a few who still try to follow the Ten Commandments given to them through Moses). These are wiser, more skillful, than the Christians. 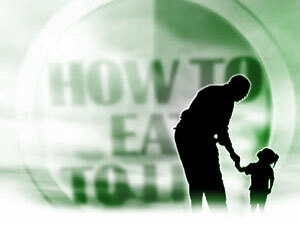 How to Eat to Live? Allah (God) said to me, in the Person of Master Fard Muhammad (to Whom praise is due forever) that we who believe in Him as our God and Saviour should eat but one meal a day (once every 24 hours). Eat nothing between meals, not even candy, fruit, or anything which would start the stomach, digestive processes. In this way, our eating of the proper foods and drinks — at the proper time — would extend our life to 140 years. This would protect us from sickness. He said if we would start our infants eating one meal a day, as soon as they are able to partake of solid foods, it would enable them to live to an age of 240 years. I asked Him what was the cure for that one day of illness? He said “Fast three days and you will be all right.” I asked Him, “What about eating one meal every three days?” He said “You will never be sick if you eat once every 72 hours.’ This is about two meals every six days, which would extend our lives to a span of 1,000 years — for there is no poison from the previous meal three days ago which has enough power to do you any harm. The fast destroys the accumulation of food poison. The body is made up of water, chemicals, stone, metals, vegetation and air. All that is in the earth is, in some form, in our bodies, and you have no birth record of the earth. Although there is a record, you probably do not have it. It is a very old earth. It is not — as you have been made to believe — only 6,000 years old. It is more than six trillion years old, and it will be here for a long, long time yet. What comes out of it, such as life, cannot live as long as the earth itself. But it can be made to live a very long time if carefully nursed, according to its nature, as you see and scientists teach you the long life of the California Redwood tree (sequoia sempervirens). There is mentioned in the Bible of Allah (God) a saying that His people’s life will be as the tree. There is an oak in Arabia — under which they claim Abraham met God — that is still alive today. Allah (God) never intended that righteous lives should be cut short of 100 years on this earth. I have experience in living and eating according to the way He taught me for a while and I found it one of the happiest and most peaceful ways of which I ever dreamed. I began with eating one meal a day and forced my family to do the same for several years, until I was picked up and sent to prison for teaching Islam in 1942. Of course, the government said they sent me up for failing to register. That really was not the reason, for I did not come under the draft law at that time. Some of my followers, 60-65 years old, were sent to prison at the same time. Persons of such an age were not desired by the War Department. While in prison, the Christians made it hard for us to live as we had been. They deliberately put swine, or the essence of the swine, in everything and the assistant warden made mock of it when I told him my followers lived on nothing but bread to avoid swine. He said that even the bread had swine in it. We used to make a meal of dry, baked white potatoes. We had it hard — and all my followers now in prison still have it hard. All those converted to Islam in prison at present suffer in order to avoid eating the divinely-prohibited flesh of the swine. And all that God said “Thou Shalt Not do,” they said “Thou Shalt Do.” You who read this book know the Christians are the great false teachers of God, who care nothing for Allah’s (God’s) law. Since returning from prison, it has been hard for me to adjust my eating habits. For many days in prison, we had to eat two or three times a day in order to make up for one meal a day through trying to avoid eating the divinely-prohibited flesh of the swine. This caused me and the others illness after we had cleansed our stomachs of bad food and had begun to eat at the proper time. When we were eating the right food in the right way, we had no doctor bills and no medical bills. There were no medicines to be found in our medicine cabinets. However, as soon as we changed and began to eat between meals (24 hours), we began to call on the doctor and his drugs — and it brought about one complaint after another. I would never have suffered today from bronchial asthma if I had not disobeyed the law of the right foods to eat. Now I am on the way back to try and adjust my life according to the way Allah (God) taught me. I experienced eating once a day for several years and I experienced eating once every two days for a long time. Then I experienced eating one meal every three days (twice a week). I never had any symptoms of disease or sickness when I was eating once every 48 hours and once every three days. With this method, you feel as though you never were sick in all your life — even if you are a 100 years old. Nothing shortens our lives but our foolish selves.